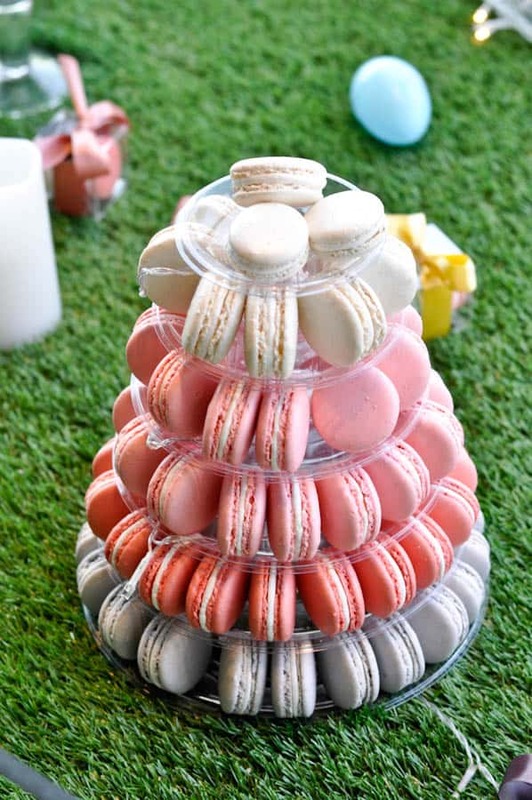 Even when you think you’re too full for dessert, there is always enough room for a macaron! 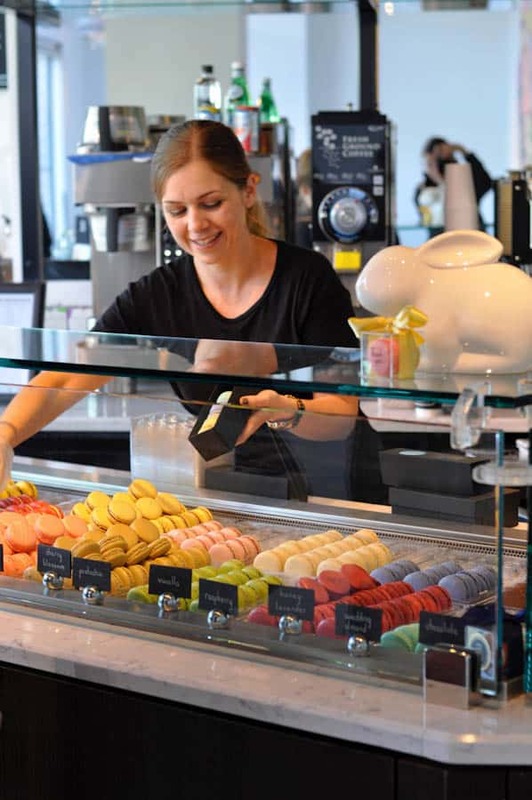 Olivia Macaron prides itself on filling the district’s dessert void and offering up DC’s best and only French macaron café. 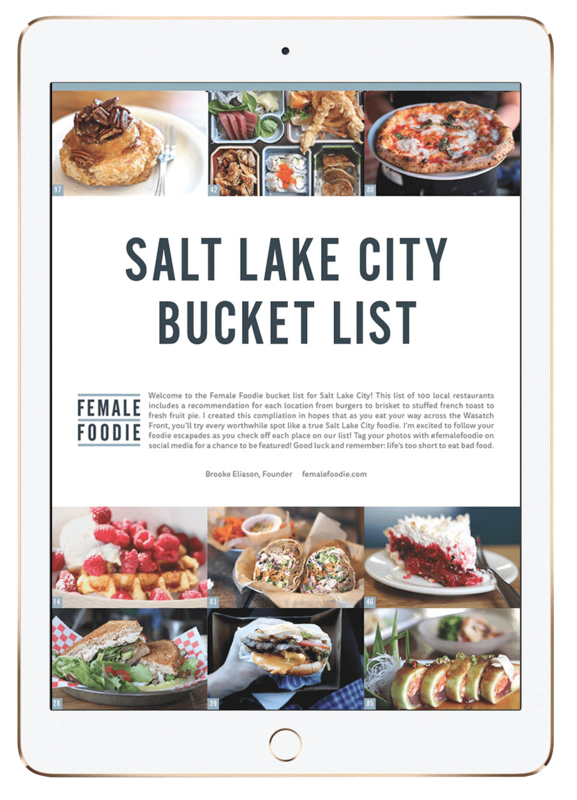 And their four bite delights are sure to cure your sweet tooth and leave you without much guilt. After taking in the Cherry Blossom trees this weekend, my husband and I worked up quite the appetite. 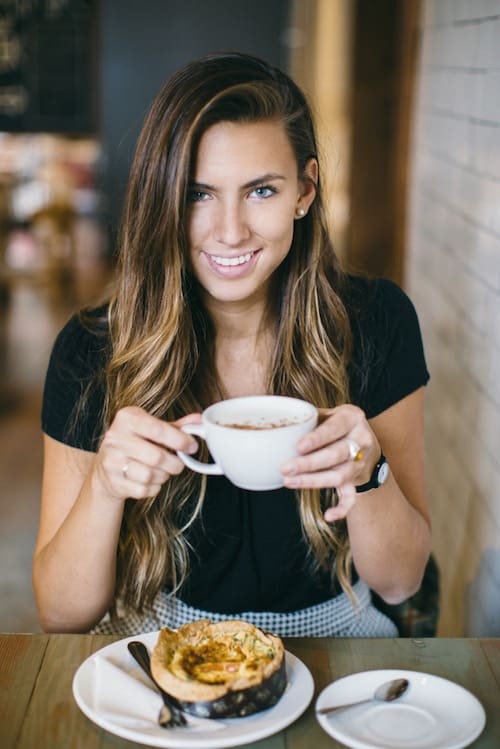 We stopped for lunch at an old favorite in Georgetown, but knew we wanted something sweet (+ a little coffee) to start the afternoon. 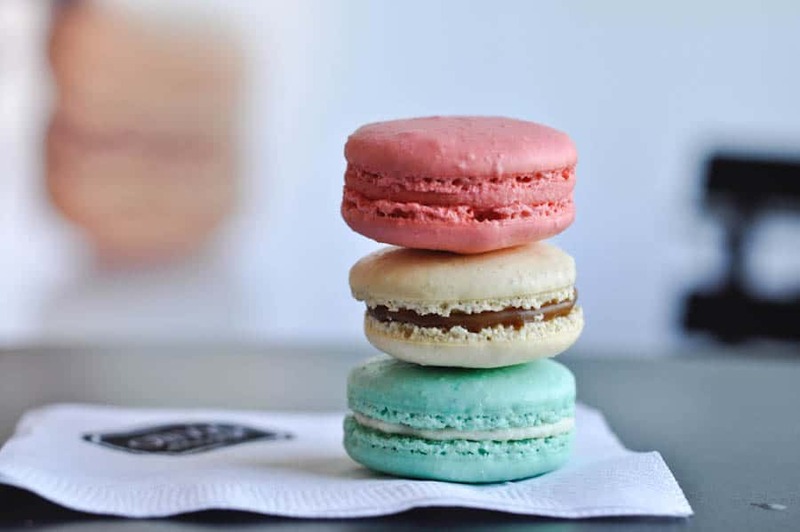 Luckily, we were able to pop into Olivia Macaron and snag a seat. 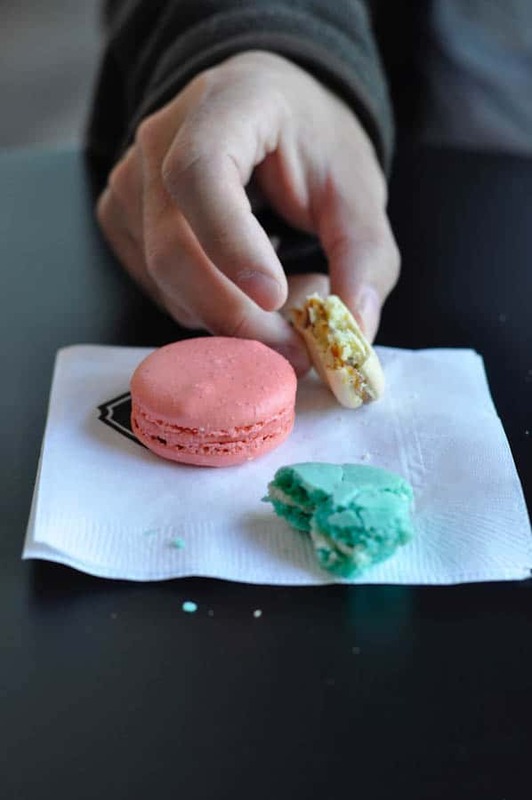 The small shop has two in-house tables and a few outside, but most folks take their macarons + joe to-go. In the spirit of these historic blooms, we quickly tasted a Cherry Blossom macaron (not pictured because we ate it too quickly). 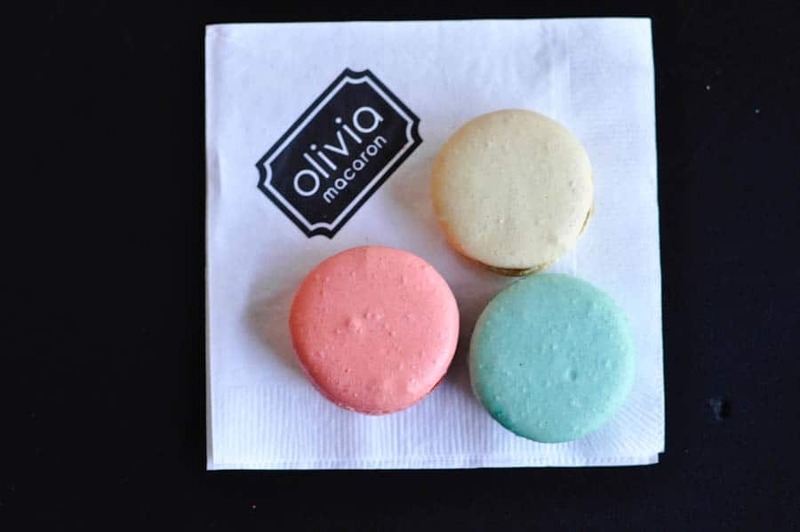 Olivia Macaron offers a variety of seasonal flavors – right now they include cherry blossom, fruity pebbles (like the cereal! ), green tea, and lady grey. 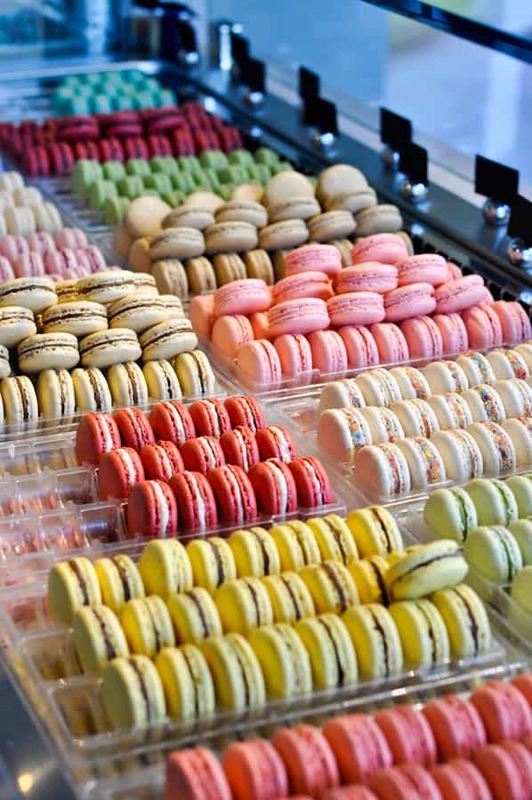 Signature favorites include red velvet, rose, chocolate, raspberry, vanilla, honey lavender, pistachio, and coffee; plus the three customer favorites that we tasted: blood orange (light red), salted caramel (light brown), and wedding almond (light blue). 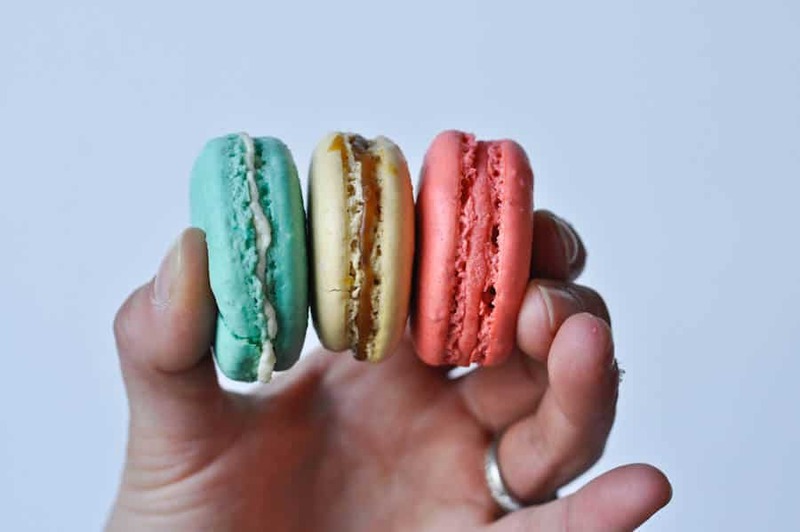 Olivia’s macarons are always consistent and built on a recipe that follows an obvious amount of patience, practice, and precision. The cookie outside has a light crisp while the inside is surprisingly fluffy and moist. 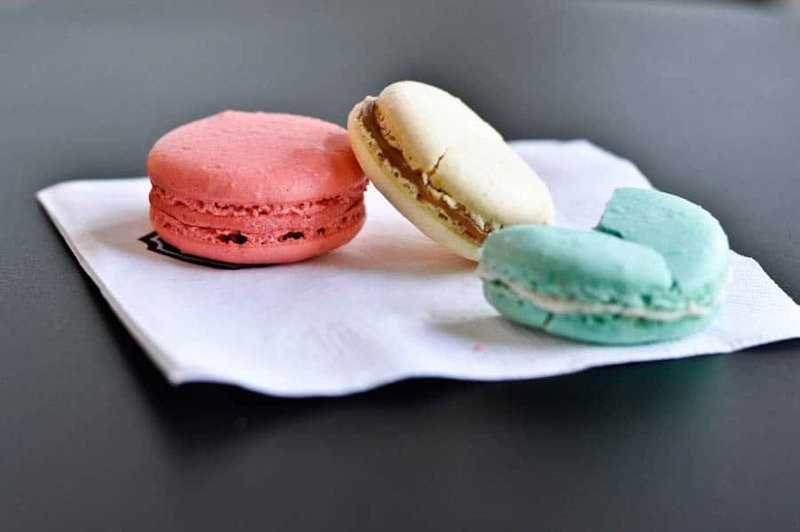 The filling offers a bit of flair for each flavor: salted caramel is a little sticky and gooey, while wedding almond is soft, rich, and creamy. Blood orange is a staff favorite and it definitely did not disappoint! 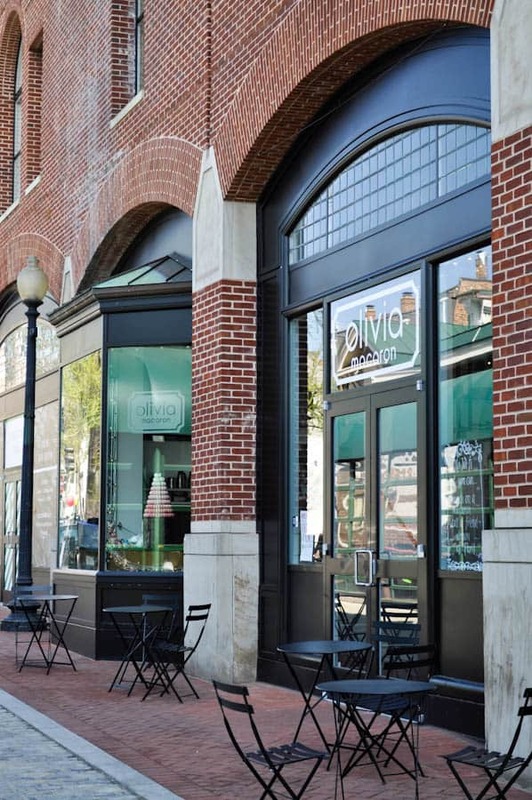 If you’re in Georgetown, Tysons Corner (new shop just opened! ), need a gift for a friend (they add a beautiful bow to your box!) 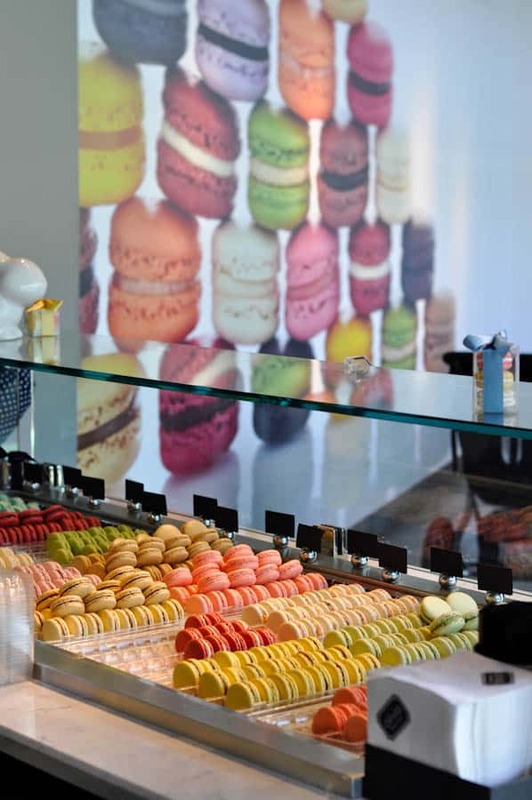 or just craving macarons be sure to stop into Olivia Macaron!